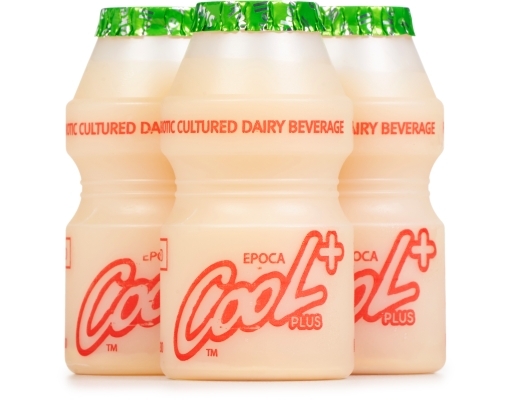 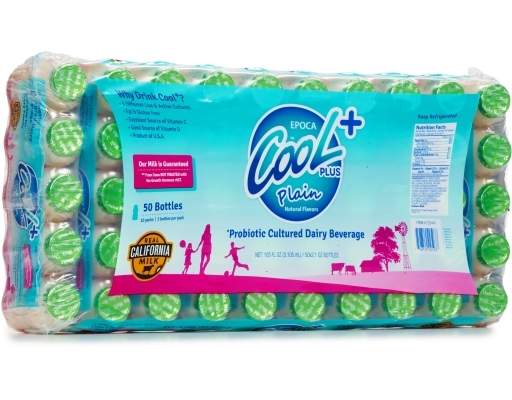 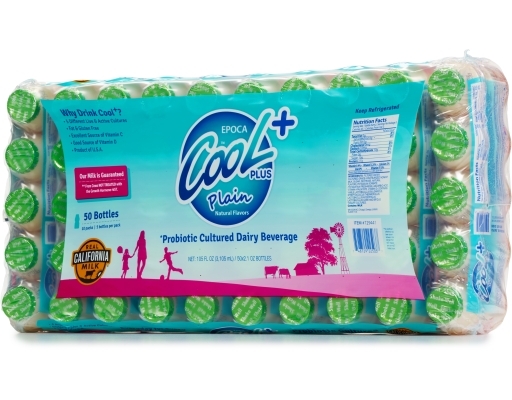 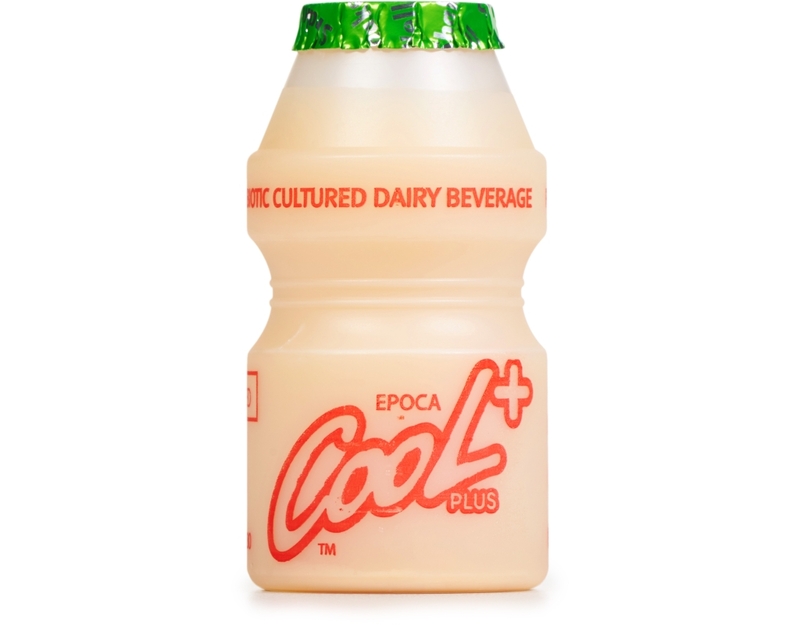 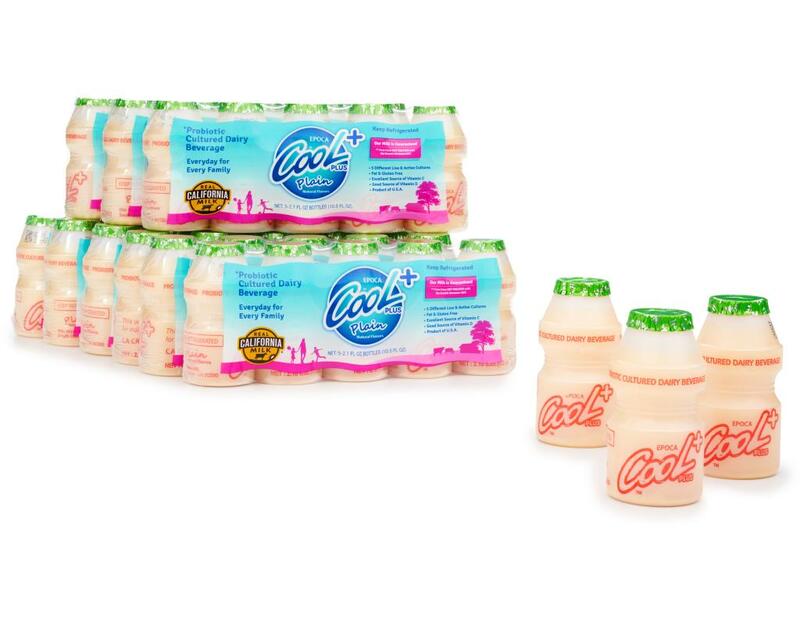 Epoca Cool Plus brings you 5 different live & active cultures that aid the digestive system. 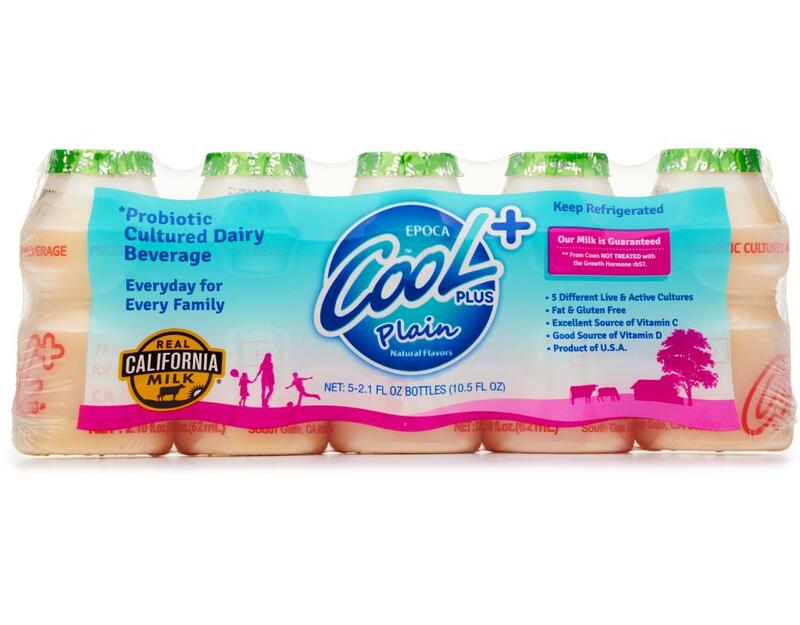 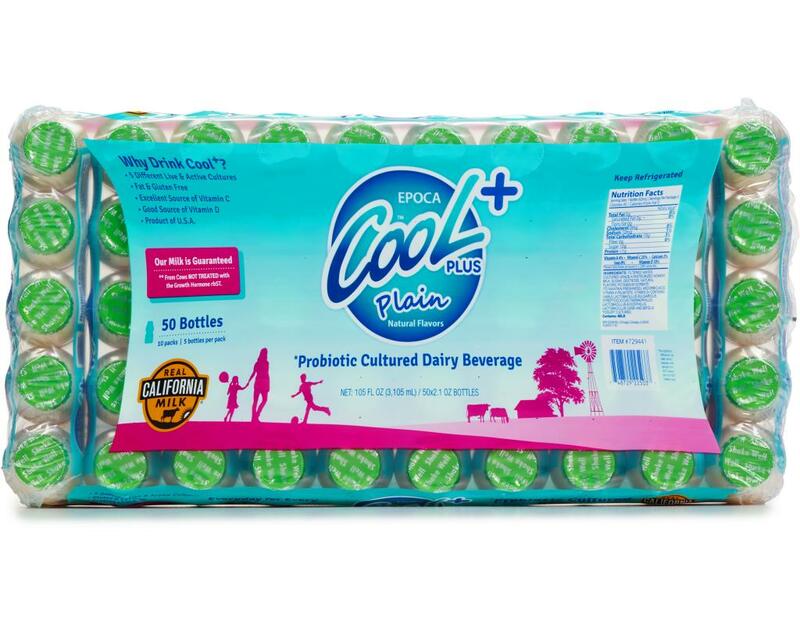 This probiotic dairy beverage is suitable for everyday, every family. Fat free, gluten free, a good source of vitamin C and D, this will soon be your favorite drink! 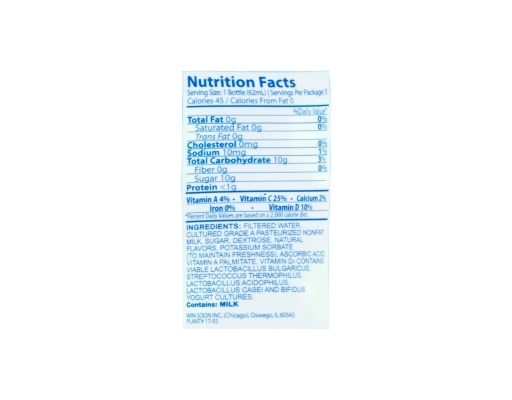 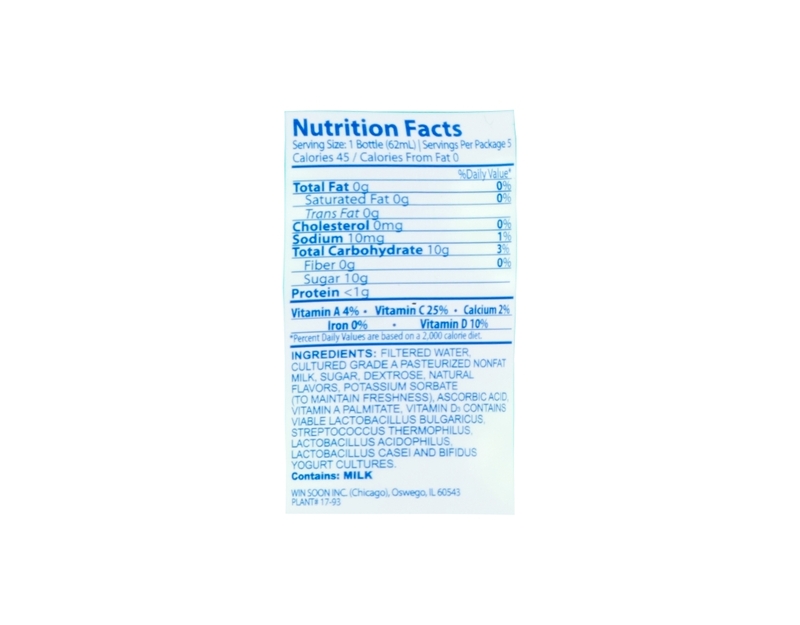 Filtered Water, Cultured Grade A Pasteurized Nonfat Milk, Sugar, Dextrose, Natural Flavors, Potassium Sorbate (To Maintain Freshness), Ascorbic Acid, Vitamin A Palmitate, Vitamin D3 Contains Viable Lactobacillus Bulgaricus, Streptococcus Thermophilus, Lactobacillus Acidophilus, Lactobacillus Casei and Bifidus Yogurt Cultures.